This is our biggest Mac OS X product yet. 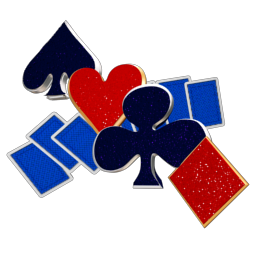 Goodsol Development has now published Pretty Good Solitaire Mac Edition 2.40, a significant update to this largest collection of Solitaire games for Mac OS X systems. Pretty Good Solitaire Mac Edition contains 400 different solitaire games in this update, including 25 brand new variations, every one of the games from any of our Mac products, and even Concertina, which is not available anywhere else, on any platform (not even the Windows version of PGS). In Pretty Good Solitaire Mac Edition, you can play the widest variety of different kinds of solitaire available for Mac systems, whether you have a brand new system running Mountain Lion (10.8) or a older [PowerPC] system running Tiger (10.4). Every game provides 2 billion deals and online high scores, as well as full support for climb mode, where deals are played in numerical order for a total score, a fair and direct comparison to other players. Additionally, you can play game tours including several games for a different challenge. There is truly something here for everybody. Fun facts: If you could play one game per second, it would still take you more than 27219 years to exhaust the deals in this game, and that does not even count the 60 bonus games! More realistically, if somebody played one game of FreeCell every minute, eight hours every day, it would still take 5.7 years to finish the first 1 million deals. You can download a free 30-day trial version here for Mac OS X 10.4 or later (Mountain Lion, Lion, Snow Leopard, Leopard, or Tiger [Intel/PPC]). Buy a copy here for only $24.95 and you will receive the 60 bonus variants not available in the trial version. Also, you will receive free upgrades for the foreseeable future, as we add even more new games. Pretty Good Solitaire Mac Edition is our premier solitaire game for Mac OS X, not merely based on our proprietary Goodsol Solitaire Engine, but actually the driving force behind the development of that engine. This version anchors a new release schedule for PGSME updates, where we plan to add 20 games per month (albeit with a slight holiday interruption next month) until this version contains every game in the Windows version of Pretty Good Solitaire (currently at 792, and counting), as well as Concertina and many more bonus games that are only available in this title.